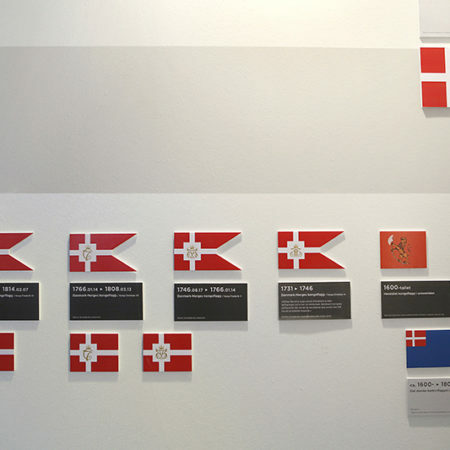 An exhibition about the Norwegian flag and its proposals, both official and created in the relation to this whole project. 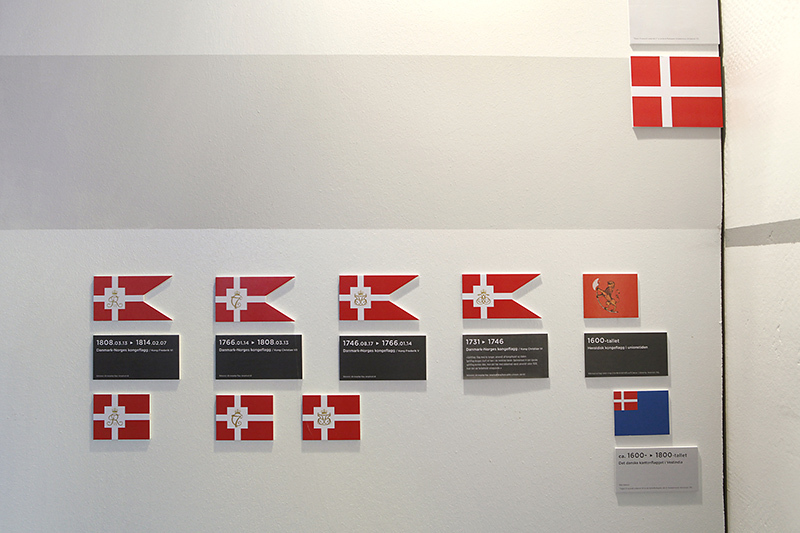 A timeline of the historical development of the Norwegian flag, including official suggestions from various periods. 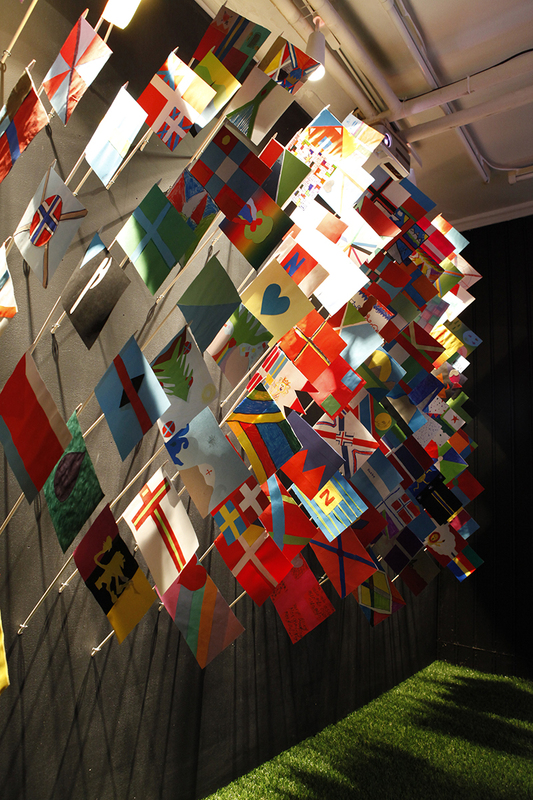 An installation presenting all the proposals of personal flags made in workshops, related to the project, at diverse schools around Oslo. 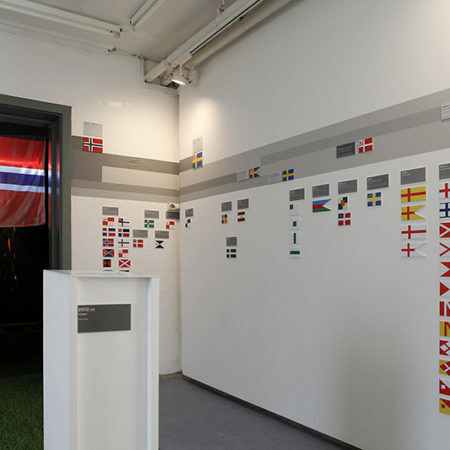 A black wall written with white chalk with all the diverse words selected by kids in those workshops to describe Norway. 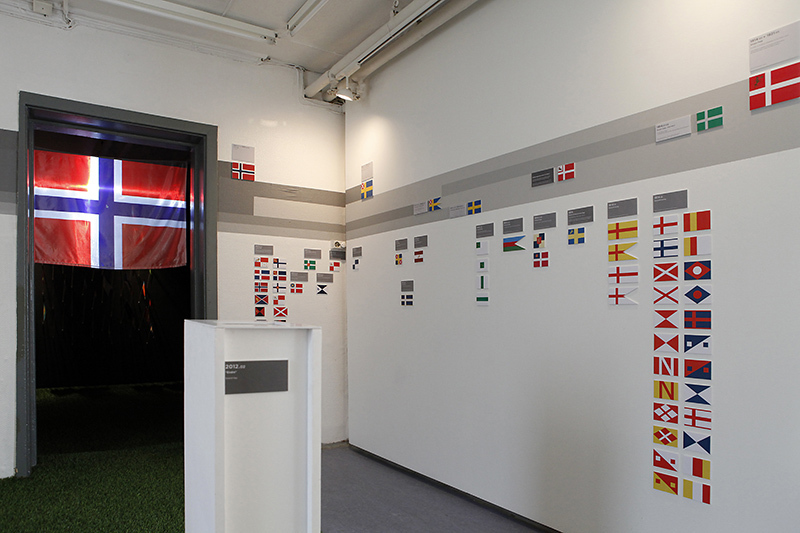 An interactive installationcalled “Endre”, where the current Norwegian flag could be explored by the visitors. 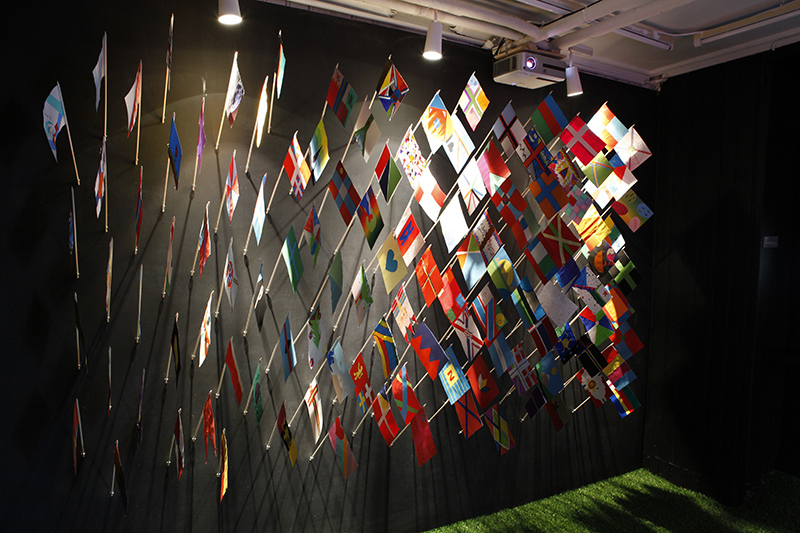 An interactive installation where visitors were allowed to develop their own flag, or see the flag designed by others. 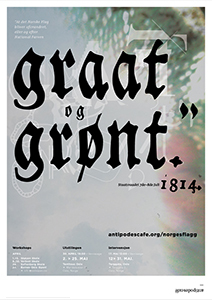 A computer with a website page open for comments by visitors. 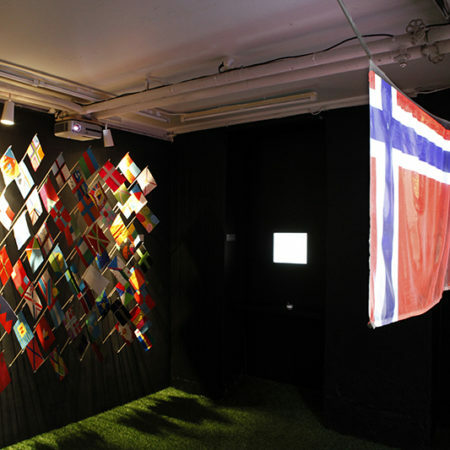 An artwork called “Memoria” consisting in a window of the gallery covered by a piece of wood engraved with information about the show as well as a hole related to the Norwegian flag. 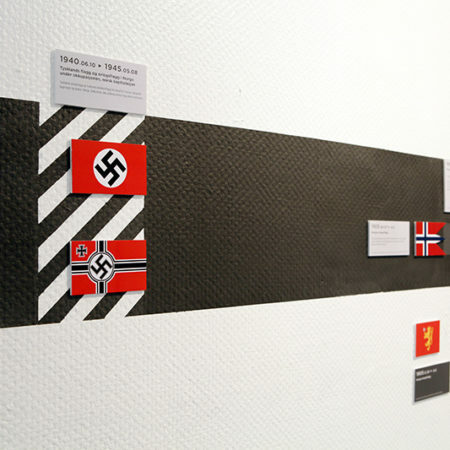 This wood was taken from garbage, and was used before to cover a window after the terrorist attack in Oslo, by an ultranationalist Norwegian. 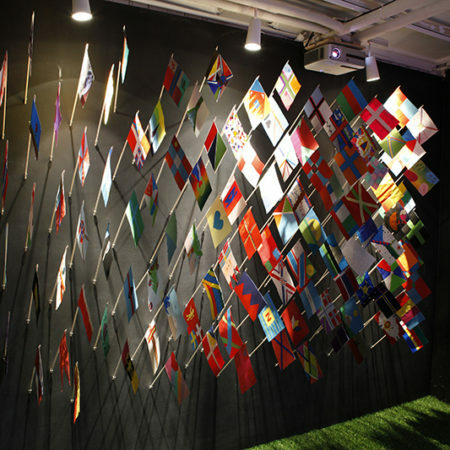 Six years after, several windows in the area of the bombing are still covered with same wood. 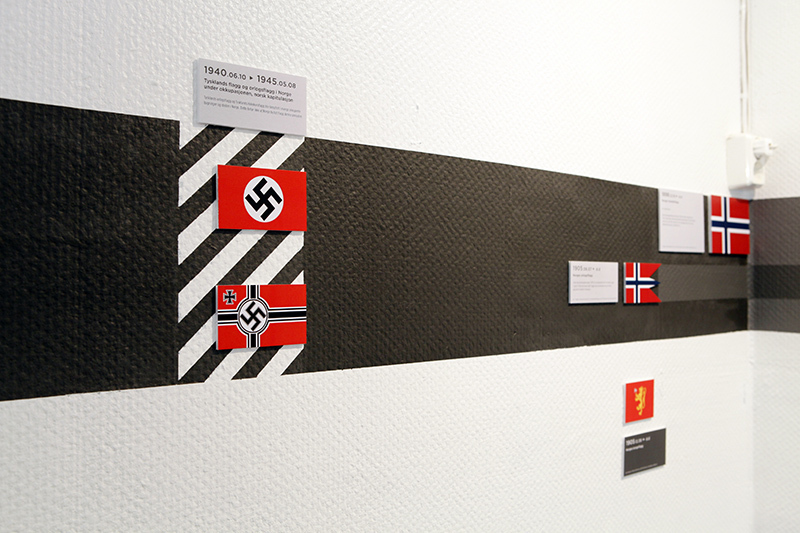 During the exhibition the first urban intervention of the project was installed in Torggata, Oslo and we presented the project to kids from the German School. 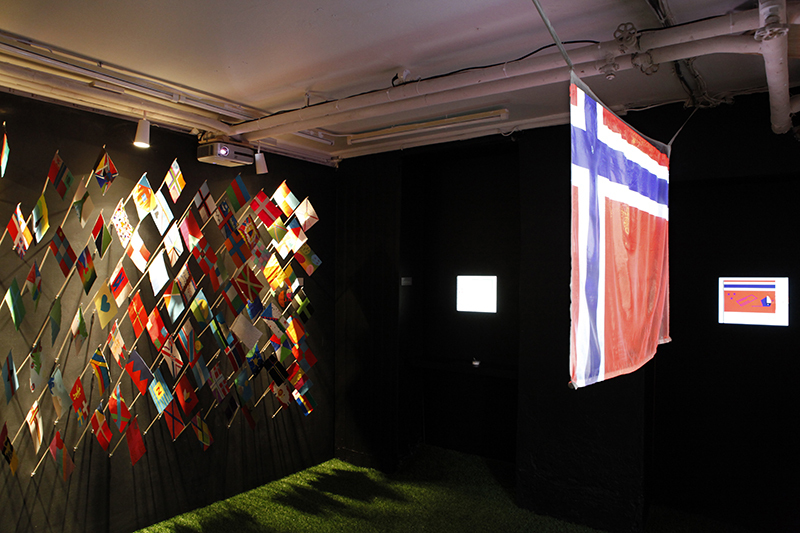 The exhibition was mounted with open doors during Oslo Open and closed during Oslo Art Weeked. 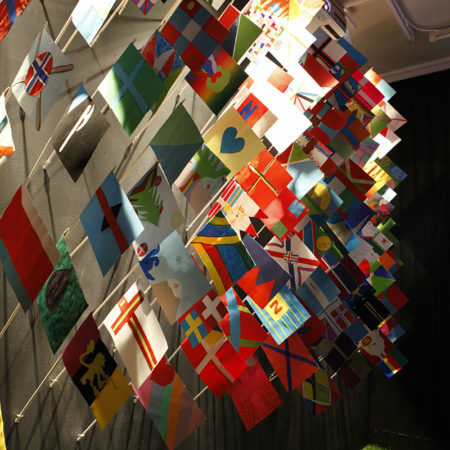 – MBE Mail Boxes etc.